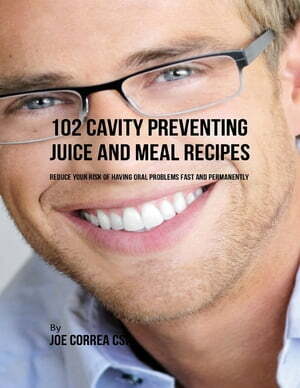 Collins Booksellers - 102 Cavity Preventing Juice and Meal Recipes: Reduce Your Risk of Having Oral Problems Fast and Permanently by Joe Correa CSN, 9781387168712. Buy this book online. Your teeth and mouth are a reflection of your overall health. What you put in your mouth effects your entire body. Use these oral health revitalizing recipes to start a newer and better life that surprise you in a very positive way. The first thing that comes to mind when you think about oral health is definitely oral hygiene. Without a doubt, this is the main factor responsible for healthy teeth and the best help you can possibly get in preventing any complications. Brushing daily and flossing keeps your teeth and gums healthy and reduces the chances of having cavities. However, even when we follow our dentist's advice, some complications still happen. The number one culprit for this is usually a bad diet. Nutrition is the single most important factor affecting your oral health after oral hygiene.